Another interesting couple of days. 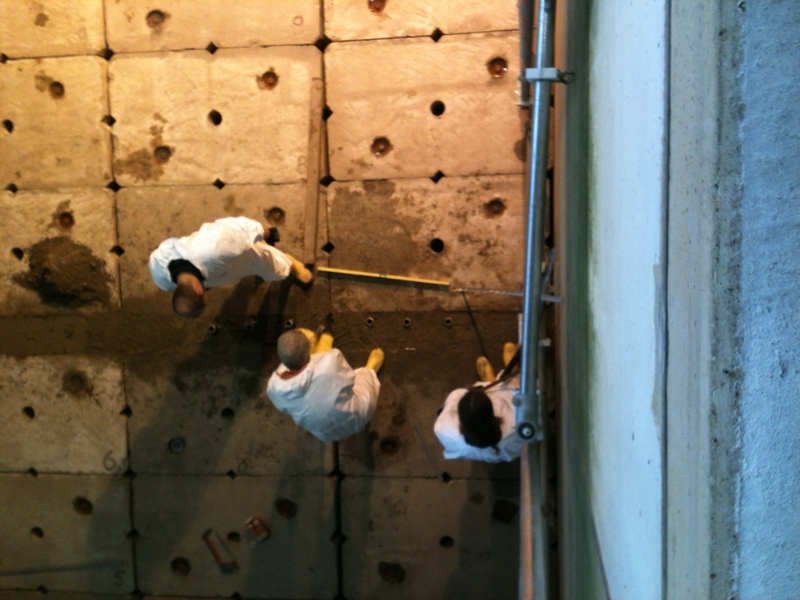 Yesterday was marked by the laying of the geotextile onto the sand base, on top of which the marsh blocks will be placed. 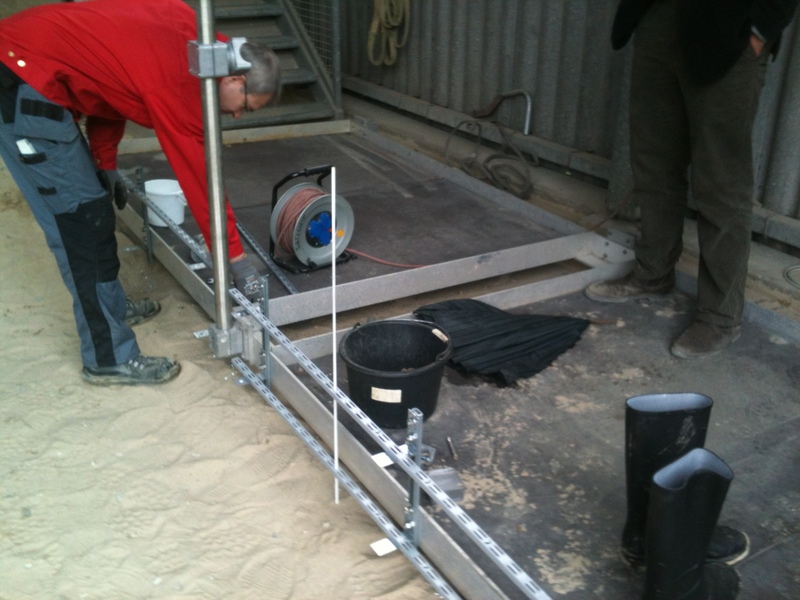 And then there was the refinement of the construction of our sediment elevation measurement bar – which required the addition of a brace/bracket to the walkway platform, so that the platform will not bend under the weight of the person doing the measurements…. 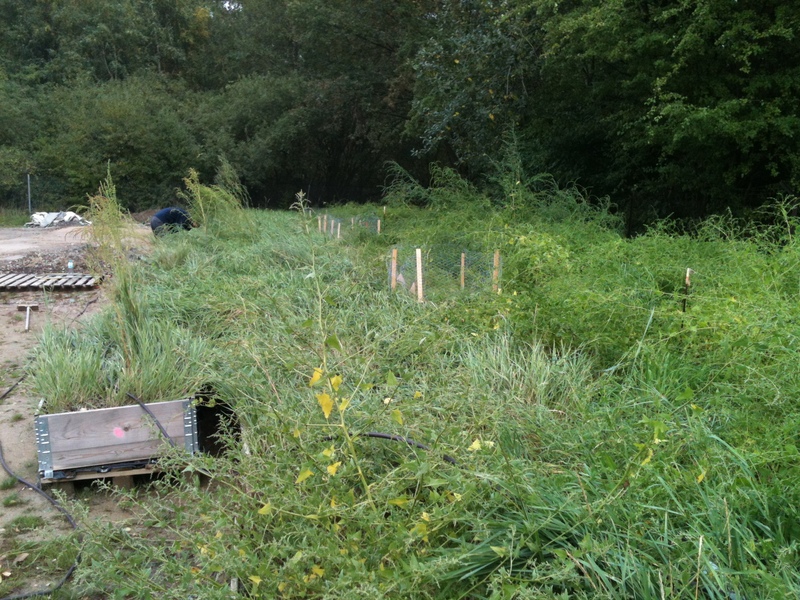 Today started with a basic but big decision about when to begin the moving of the marsh blocks. The lights are not all completely installed yet and there are plenty of other things to do, so why expose the plants to the more hostile conditions inside, when they are quite happy waiting outside the back door of the flume? 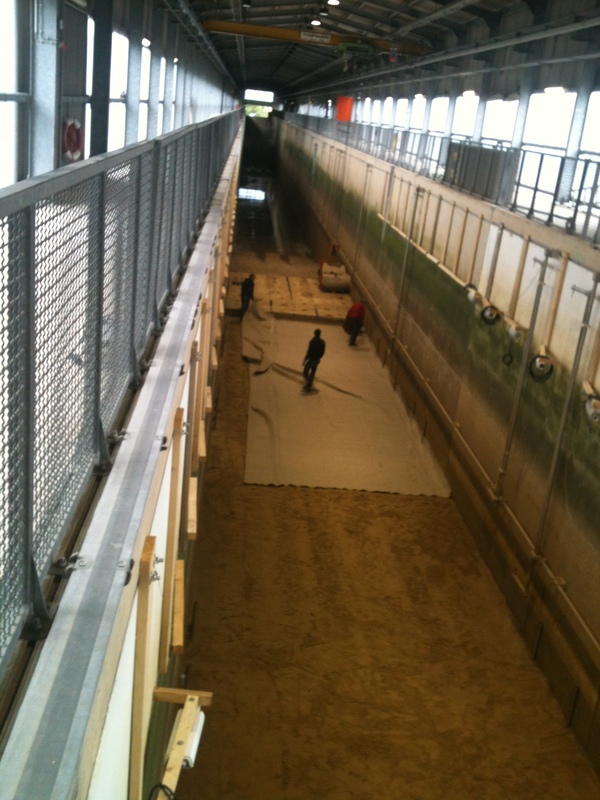 The drag sensors arrived and our expert, Tjeerd Bouma from the NIOZ in the Netherlands, was there for their installation. The idea is to attach a range of real and ‘pretend plants’ (or ‘mimics’) of plastic to the top of a small lever that, when pushed, allows an electronic device to record the force exerted on the lever. That way, we will be able to know what kind of force the plants are experiencing under the different wave conditions. 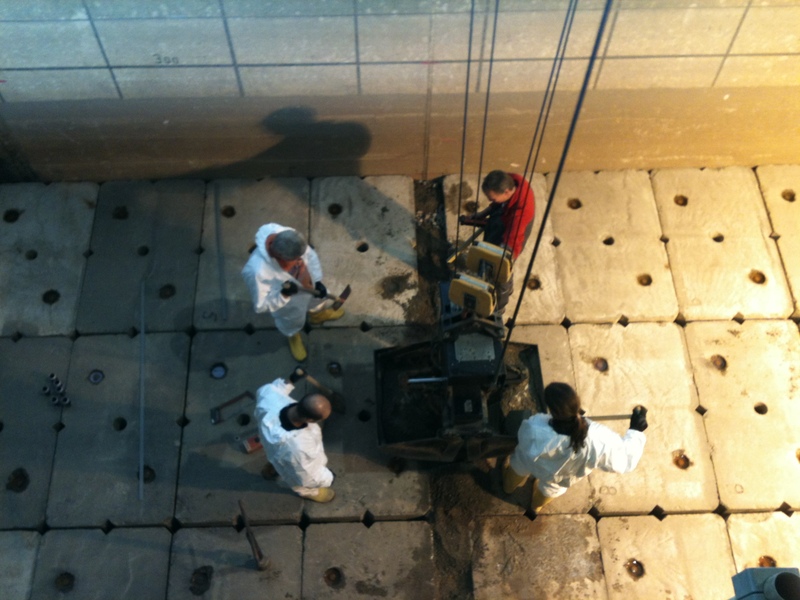 And they did an excellent job – all drag sensor holders are now concreted firmly in place, together with a covered cable conduit. Very late lunch very well deserved! !